As part of the EU’s HALO project (High power Adaptable Laser beams for materials processing), scientists at the Fraunhofer Institute for Laser Technology ILT are working on distributing a laser beam’s intensity in a way that meets the highest quality requirements for laser cutting, while conserving resources. The group first simulated the cutting processes, before calculating the intensity distribution of the ideal laser beam for the individual application. It then designed the optical components based on this information. The results of the HALO project will be presented to the public for the first time as part of the European Research on Laser Based Technologies Forum at Laser World of Photonics 2015 in Munich, Germany. A typical laser beam possesses a very high intensity at its centre, which falls away in a bell shape to the sides. But a laser beam with such a Gaussian intensity distribution is not necessarily the ideal tool for every application. For example, while this beam distribution is suitable for quickly cutting a sheet 1mm thick at a relatively high quality, a sheet with a thickness of 1cm requires a broader beam with greater intensity distribution at the edges. 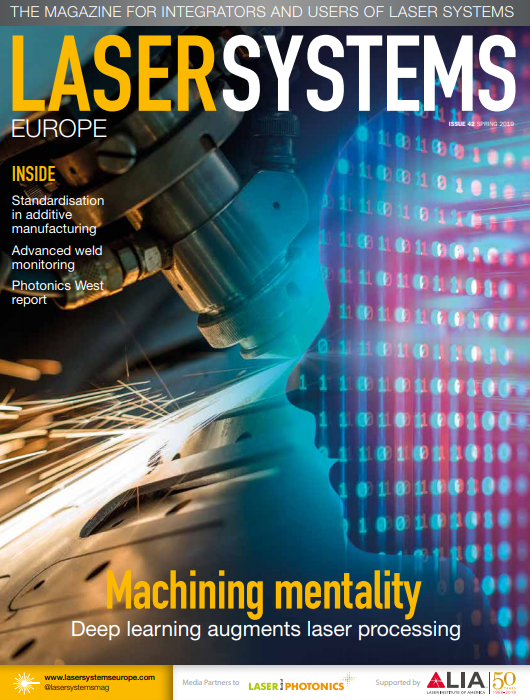 The latest research activities are focused on defining the right laser beam for cutting material of various types and thicknesses and tapping the resulting potential. Since September 2012, an international consortium consisting of nine research institutes and industrial companies – including Trumpf and Synova – has been working to develop application-specific beam formations. Under the leadership of Gooch & Housego, the project participants are customising the laser beam’s intensity distribution for each individual use case. Ultimately, the laser systems are to be equipped so that users can perform practical tests. Experts from the Fraunhofer ILT have seen enormous potential in this regarding cost cutting and processing speed, even as product quality improves. Fraunhofer ILT’s Macro Joining and Cutting group and the Modelling and Simulation group have been studying adaptive beam shapes for laser cutting for more than 25 years. In their work, the researchers apply diagnostic methods such as high-speed videography of the cutting process, streak image technology for melt flow analysis, and schlieren technique for visualising the flow of cutting gas and evaluation methods like metamodelling or QuCut simulation of ripples. The scientists continuously deepen their understanding of this topic and apply appropriate laser methods for the widest range of cutting tasks. As part of the HALO project, selected applications will be used to examine how the laser beam should be constructed to achieve optimal cutting results. Observing the cutting dynamics and the formation of ripples and adherent dross is also relevant. Using simulation to achieve the perfect laser beam Fraunhofer ILT’s Modelling and Simulation group is contributing significantly to these efforts by applying findings from computer simulations to help optimise laser processes.